TtMadrid is committed to offering you complete “after TEFL” support. This includes helping you find all the teaching jobs you desire and keeping your teaching schedule full. For this reason, we have an excellent relationship with the top English language agencies in Madrid, who all recognize the quality of our course and prefer to hire our graduates. 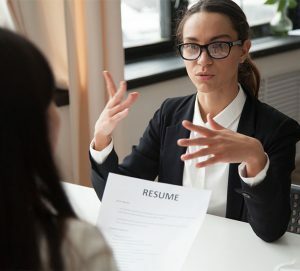 All our graduates are guaranteed job interviews and we also provide you with our premium CV service which connects you with over 300 TESOL agencies and academies in Madrid and Spain. If interviews are not your strong point, don’t worry! Helen will put you through your paces and make sure you present yourself so you’ll have no problem finding work. During your course, we spend time with you ensuring you have a teacher-focused CV/resume. As we move into the last week of the course, we have a job workshop to explain the type of English teaching positions that are available to you and the systems we have in place to get you teaching jobs initially and then our continued job support. This is available for as long as you need it—1 week, 1 year or the rest of your life if you like! In addition to this, we complete an interviewing skills workshop while you’re on the TtMadrid TEFL course to ensure you know how to sell yourself to the agencies. As well as working for schools, academies and agencies, you will also want to do some private work and our Marketing guru is on hand to give you a course on marketing and branding yourself so you get the best jobs and the highest rates. Putting together your teaching schedule is a little like putting together a jigsaw of the sky—it’s difficult to see which bits go where. You can come in and see us, phone us or email us and we will always be on hand to talk you through it and help you chose the right teaching jobs for you until you have your golden schedule. Helen is available every afternoon for appointments to help you sort out any worries or concerns or to give you job advice. 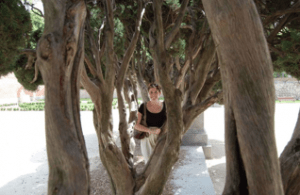 Helen receives job openings for English teachers all over Spain on a daily basis and she sends them out to all our graduates on regular Job Alerts emails (these are usually daily with 5 to 6 jobs on each email). We make your jobs our top priority once you have finished the course, and we are relentless until you have exactly what you want and need. My name is Bethan, I’m 23 years old and from London. My main reason for coming to Madrid was to learn Spanish and start a career as an English teacher abroad. I had no idea what was awaiting me upon completion of the TEFL course at TtMadrid. I had the intention of staying in the city and finding work teaching English but was not sure how it would all fit into place, for example, if there would be a language barrier, if people would hire me without experience, etc. I needn’t have worried. There are plenty of teaching jobs in Madrid. Despite high unemployment rates in Spain, there is a constant, if not nowadays heightened, need for qualified English teachers, which is great news for us! The guys at Tt, as well as grads who came into the school, reassured us that there was plenty of work to go round which was a real comfort. I remember thinking ‘well if they can do it, so can I’–and I was right. As promised, TtMadrid helped with every step of finding a job. First of all, they made sure that we were all aware of the opportunities available; the different types of work, interview techniques, what to do when a Spaniard calls you on the packed metro but you neither understand a word they’re saying nor know what to reply. Secondly, they helped us create a CV suited to teaching. Finally, they blasted out our CV to their list of over 300 contacts. Personally, I waited a week or so after the course for them to send my CV because I wanted a week break before the onslaught of interviews. Others, however, had theirs sent out the last day of the course and were setting up interviews before we knew it. In all honesty, I am glad that I waited because I was not fully prepared for what was to come. I received what felt like thousands of phone calls, voicemails and emails from academies wanting to set up interviews. I’m not going to lie; it was slightly overwhelming. There was the dreaded fear of when a number called you and you had no idea if the person on the other end could speak any English. However, the more calls that came in, the more used to it I got and knew the key things to ask for. I also saw it as a great way to practice my very basic Spanish. I would highly recommend learning the alphabet and numbers well as these will most definitely be needed. Oh, that and the @ sign in Spanish is arroba. Emails were of course easier as you had time to think of the response and could use my good old trusted friend, Google translate. Looking at my diary now for that time, I was averaging around 2 or 3 interviews a day for about a week, which was hard work. The interviews were of course in all different parts of the city and I became great friends with the metro during that time. And Google maps. But again I saw it as another great opportunity; I was seeing more of the city and travelling to places I was yet to explore. The interviews themselves were very varied which I found unsettling. There were the academies that asked really difficult questions such as ‘how would you go about teaching the present perfect in a business English class?’ As you can imagine as a newbie to the TEFL world, these questions threw me. There were other academies where you would sit down, introduce yourself and they were starting to write up your teaching timetable. Similar to the phone calls, the more interviews I went to, the more accustomed I got to the types of questions, how to prepare myself, what questions to ask, etc. I actually began to enjoy the interview process because I saw just how many opportunities there were for me. It was very much a waiting game; I was always waiting to see what was going to be offered next. Perhaps someone could offer me more block hours or better pay or offer help with resources–there’s a lot to consider. Eventually, I settled on the academies I felt most comfortable with and got a nice 10-hour timetable, which suited me just fine. I would advise going with your gut; some places you walk into and think ‘this isn’t for me’–trust that feeling. At TtMadrid we were advised that less is more when it came to taking on classes straight after the course, and they were right. Even 10 hours was a few too many if I’m honest. A few weeks went by and although lesson planning had taken over my life, I was enjoying my job. It is hard work and at the beginning, it feels like it is never going to get easier. Everyone tells you it will and that it comes with time. After three months of teaching, I’m starting to understand what they mean. You have materials and lessons prepared for various levels and groups and these can be adapted in many ways. When I felt more comfortable with my workload I decided to try and find some more work. Unlike at the beginning of the job hunt, this time round I was prepared. I was a bit anxious that I wouldn’t find something to fit in with my schedule but once again this worrying was for nothing. Laura from TtMadrid offered to blast out my CV again with the hours I was looking for, which is really going above and beyond their call of duty. I managed to find work to fit my timetable and was working 14 hours. As my bank balance continued to decrease and lesson planning got slightly more manageable I took on even more classes and for the most of May (2 months after completing my TEFL course) I was working 24 hours. That was tough. But I did it and survived and I now already have a mountain of materials that can be re-used and adapted in the future. There really is a constant supply of work; perhaps sometimes you need to search a little harder for what you want or need, but it is possible. Finding a job teaching English in Madrid is definitely an experience and something that, as I am realizing, gets easier with time and experience. This is also due to the fact that you learn who you are as a teacher, the types of classes you would like, when you would like to teach, and the types of academies you prefer. Job-hunting can be a stressful experience, especially in a new city where you don’t speak the language. 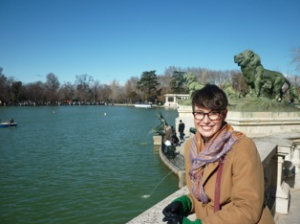 TtMadrid knows this and has first-hand experience finding TEFL jobs themselves. Therefore their help, support, and advice when you are trying to find work or more hours is priceless. I’ve had a very positive experience finding work here in Madrid and I am prepared for the onslaught of interviews in September when the new academic year starts! Want to find our more about our courses? Click here to see our TEFL courses and prices in Madrid. Get trained and start working in just four weeks! Spaces are limited.